We are committed to providing our patrons with quality, healthy cuisine at an affordable price. Great pride is taken in the careful preparation of our homemade soups, dressings and delicious variety of dishes made from scratch. 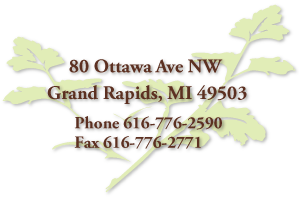 Catering in Grand Rapids is our specialty we offer both Party Trays & Lunch Bowls to accommodate your next Grand Rapids Catering event.